$41.00 /each. when you buy 3+ pcs. $27.00 /each. when you buy 5+ pcs. This is Kmt Guman Thong-Fu Mini Gold Reef Paint Bronze was made by Luang Phor SOMCHAI of Wat Darn Kwain (from Nakornrajsima, Thailand) in B.E.2554 (2011) and made of Bronze & Gold Leaf. 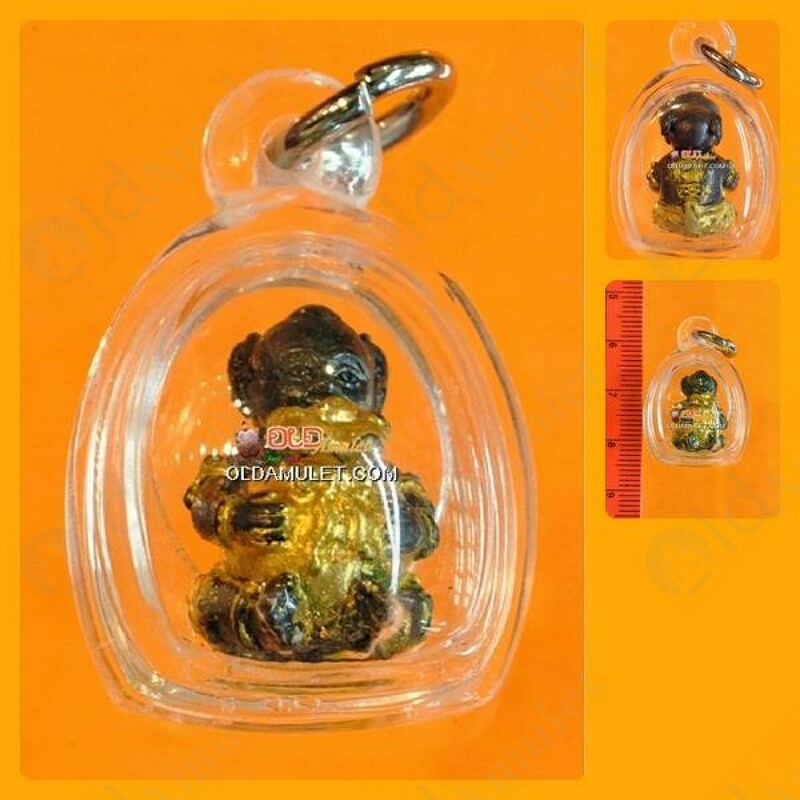 Power of this amulet will bringing owner has a Gambling wealth Lucky.